In 1944, 982 refugees from 18 European countries were brought to the United States as guests of President Franklin Roosevelt. FDR agreed to admit this small token group in lieu of a much larger plan to create many safe havens all over the country and bring in possibly hundreds of thousands of refugees. The camp was Fort Ontario Army Camp in Oswego, NY. Through interviews with former refugees and archival footage, Safe Haven, tells the story of America’s only refugee shelter for Holocaust victims. Robert Clary, a former refugee, hosts. 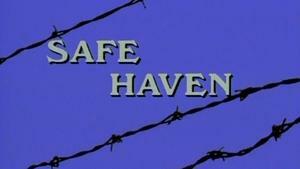 Celebrating the 30th anniversary of this WXXI production, Safe Haven was written and produced by Paul Lewis. In 1987 the documentary received a Peabody Award, with jurors congratulating the production team for “making a particularly timely statement about the undercurrent of racism and bigotry which afflict all governments.” Paul and other special guests were in studio before and after the documentary with Need to Know host Hélène Biandudi Hofer to talk about the production and share personal stories about working on the film.